Heart disease is often regarded as a concern mainly for men. But this perception is misguided and may lead women to miss important warning signs of heart troubles. The term heart disease is used to describe a number of problems related to the functioning of the heart and its ability to pump blood throughout the body. According to the National Institutes of Health (NIH), coronary artery disease is the most common form of heart disease. In patients with coronary artery disease, plaque builds up in the arteries, eventually causing a narrowing of the arteries that restricts the flow of blood and oxygen to the heart. "Although heart disease is sometimes thought of as a 'man's disease,' around the same number of women and men die each year of heart disease in the United States," says the Centers for Disease Control and Prevention (CDC). "Despite increases in awareness over the past decade, only 54 percent of women recognize that heart disease is their number 1 killer." According to CDC, heart disease is the leading cause of death for women in the US, leading to one out of every four female deaths and a total of 292,188 female deaths in 2009. In an interview with dailyRx News, Sarah Samaan, MD, cardiologist and physician partner at the Baylor Heart Hospital in Plano, Texas, said, "For many years, women's heart health was ignored. "It's really not clear to me why this was, except that most of the research was done on men, (and typically by male researchers), and thus the focus was also on men's health," explained Dr. Samaan. "In the past century, heart disease has been the number one risk for both genders." "The common risk factors are the same for both genders (hypertension, diabetes, high cholesterol, smoking, obesity, inactivity, family history)," said Dr. Samaan. "However, diabetes increases a woman's risk for heart disease even more than it does for men. "Since most of these risk factors are preventable with a healthy diet and exercise, it's especially important that women take control of their health as early in life as possible," Dr. Samaan said. The Mayo Clinic notes that a number of other risk factors for heart disease affect women more strongly than men. These factors include metabolic syndrome, mental stress and depression. "Menopause appears to increase the risk for heart disease, but there is no convincing proof that hormone replacement can reduce that risk. 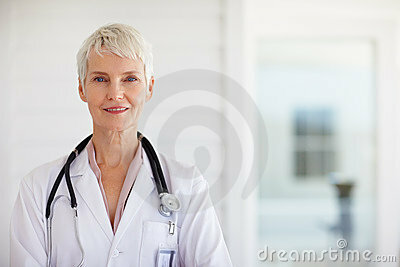 And for some women, hormone treatment may actually raise the risk for heart attack and stroke," explained Dr. Samaan. "Since it is such an individual issue, it's important to discuss the pros and cons with a physician who knows you and your health history." It is important for women to realize that heart disease may be an issue, even if no symptoms are present. "Almost two-thirds (64 percent) of women who die suddenly of coronary heart disease have no previous symptoms," says CDC. "Even if you have no symptoms, you may still be at risk for heart disease." The Mayo clinic suggests that even women under the age of 65, especially women with a history of heart disease in their family, should pay attention to risk factors for the condition. "Women tend to develop heart disease 10 years later in life than men, but that doesn't mean that younger women are immune," said Dr. Samaan. "In fact, since women often ignore the symptoms of a heart attack, they may present to the hospital hours later than men. This is critical, because the sooner a blocked artery can be opened up, the less likely there is to be permanent damage to the heart. "Women sometimes experience heart pain differently. For instance, women are less likely than men to experience chest pain, and may experience their heart pain as shortness of breath, back pain, or severe fatigue," Dr. Samaan told dailyRx News. The Mayo Clinic recommends that women armed with this knowledge should avoid smoking, stay active, maintain a healthy weight, eat a balanced diet, take medications as prescribed, and carefully manage other conditions that can boost the risk for heart troubles, including diabetes and high blood pressure.